Spice is now believed to be just as addictive as illicit drugs. Spice rehab can cost from $100 per day up to $1000 per day. Learn more about what affects these costs and ideas for financing them here. The cost of rehab is the main reason why people avoid treatment. But what if the benefits of receiving proper treatment outweighed the costs? Would you consider trying it? Borrowing money from family and friends without being able to pay it back. Lying to doctors, employers, or authorities. Selling drugs to earn money for future drug purchases. Spending time with only people who use Spice. The cost of these actions can put you back years. Choosing to stay where you are can endanger your finances, your career, your relationships with loved ones. But the biggest cost of all? Gambling with your life. In this article, we’ll review the costs for inpatient and outpatient rehab. Plus, we’ll review some ideas for how you can finance your stay. Finally, we invite your feedback at the end. Please send us a message in the comments section. We take the time to read comments and will respond to all real-life questions personally. Call 1-877-959-8008 and start treatment TODAY. Imagine what you can do…without Spice. What’s The Cost Of Spice Rehab? The type of program you choose. The city or state you choose for rehab. The total time spent in rehab. The cost of outpatient Spice rehab is often much lower than that of inpatient rehab. The room and board associated with inpatient rehab make it more expensive than outpatient rehab. However, you’ll also get intensive therapy. Additional services, such as luxury amenities and medical detox, will also increase the cost of Spice rehab. 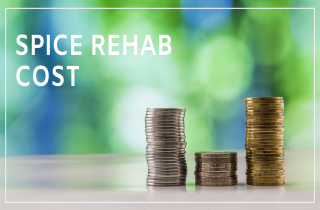 In 2011, the average cost of inpatient rehab was estimated to be just under $20K for a one-month stay and the average cost of outpatient rehab was estimated to be a little under $7K for 10 weeks intensive treatment. However, keep in mind that these are average costs. Despite the average cost of Spice rehab being so high, nearly anyone can afford treatment, no matter what their budget. Health insurance companies will often cover part of these expenses, for instance, as will Medicaid and Medicare. Many rehab centers also have sliding scale fee systems. These are used to calculate adjusted rehab fees for low-income individuals in need of treatment. Additionally, government initiatives has increased access to treatment through the use of vouchers. Spice rehab requires investment. Not only will you need to invest money, but you also need to put all your energy and time into the attempt . All of this might seem daunting at first, but the rewards of recovery will make all the challenges worth it. In the end, the worst thing you can do for yourself is to stay in active addiction. Regardless of how much resources you have at your disposal, know that there’s solution. SOLUTION #1: Free, low-cost and sliding-scale programs are available if your financial resources are limited. These programs are administered by public health agencies, hospitals, mental health centers and private facilities. SOLUTION #2: Some private treatment centers offer a sliding-scale payment program in case you can’t afford the full fee. Additionally, most of the rehab centers accept health insurance for the services they are offering. SOLUTION #3: Speak with the rehab staff and explore if your company will pay for your treatment. Borrow money from family members, partners or close friends. Ask for help from employee assistance programs at your company. Use money from you retirement accounts and/or personal savings. Don’t give up the chance to live a sober life. What Is Spice Rehab Like? Rehab is like a combination of continuing education classes, group talk therapy, and individual talk therapy. Most likely, you’ll be among people in a sensitive, and often intense, emotional state. Inpatient rehabs can feel a bit like summer camp, while outpatient rehab feels like school. Inpatient rehab for Spice addiction requires that you reside in a rehabilitation facility during the course of treatment. At any given point of time, patients are along the continuum of care and are in different stages of treatment. So, people come and go all of the time. Treatment methods in inpatient Spice rehab include daily individual behavior counseling and daily group therapy sessions. Short-term inpatient Spice rehabilitation programs typically require a month long commitment, while long-term inpatient rehab programs can last as long as a year. Outpatient Spice rehab allows a person to live at home and attend to normal responsibilities. However, those people who choose outpatient Spice rehab will have to attend several weekly therapy sessions at an outpatient facility, often a minimum of 9 hours per week. Outpatient rehab programs can last anywhere from several weeks to several years. Additionally, those who complete inpatient Spice rehab may be referred to participate in an outpatient aftercare program. Don’t get discouraged by the prospect of paying for rehab. Seek help from a treatment professional to find out your options. Reach us at 1-877-959-8008 and begin your journey to sobriety. Now that we’ve covered some of the basics of the costs of Spice rehab, hopefully we’ve alleviated some financial concerns. But if you still have questions, please leave your Spice rehab questions in the comments section below.